Here is Nat's Runbit #2 (oh yeah!). I love running in shorts. Shorts that make me feel fast, have a few pockets without feeling bulky, great fabric AND they have to look good. 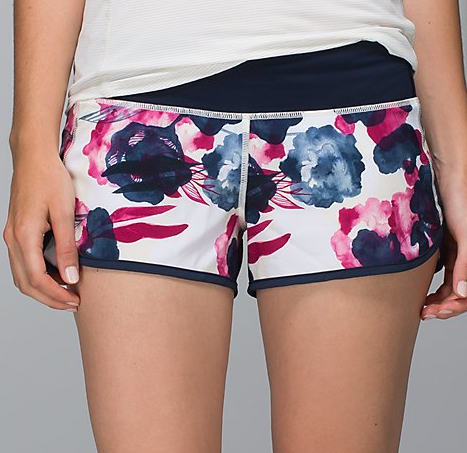 The Lululemon speed short 4-way stretch. These shorts are so awesome. But, I ran my last marathon in them and loved every minute. I felt great with out feeling like I was showing too much. On a long run, I can fit my cell phone (sans cover) in the back zipper and it doesn't even feel like its there. Ditto with my GU during the marathon. I fit 2 in there, no problem. AND... that's the Nat's Runbit of the late night day!